When you lay out your content for 12 months, you get the big picture of what’s coming your way. You should also consider if you have the right software to help you achieve your goals. For most, having earned media and press release distribution campaigns all organized in the Cision Communications CloudMC can give the larger marketing team a great central campaign strategy to rally around. We do that at Cision — use our own insights and campaign tools to understand the market, craft and implement strategy and measure impact. 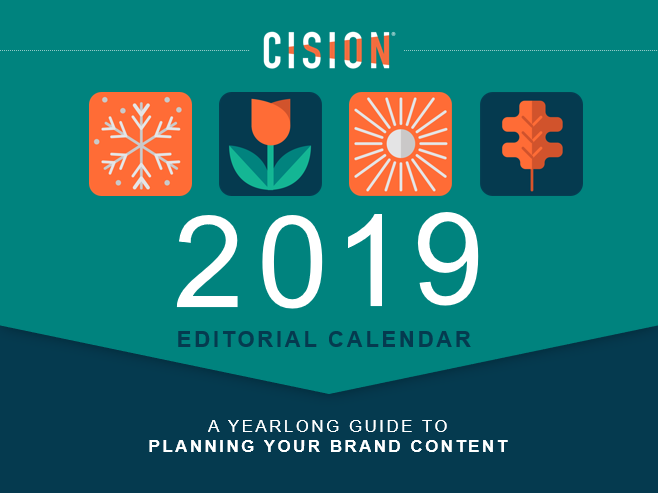 Beyond the traditional holidays, there are dozens of lesser-known holidays that make for great content marketing opportunities. Find the holidays that relate to your business and brainstorm content and social media ideas.